Travel direct with a joint ferry and bus service. 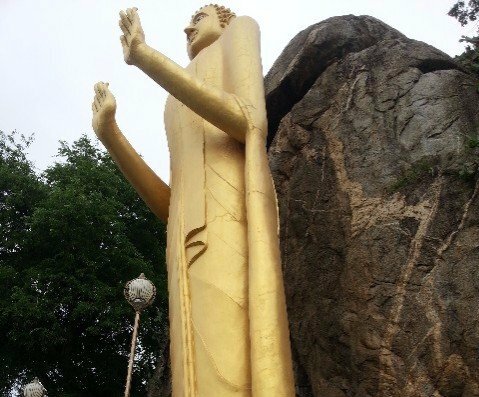 Travel by ferry and bus to Surat Thani and take a train or bus to Hua Hin. Take a ferry and bus to Chumphon and then a train or bus to Hua Hin. We recommend taking a direct ferry and bus service as the best way to travel from Koh Phangan as it is by far the quickest way to complete the journey. 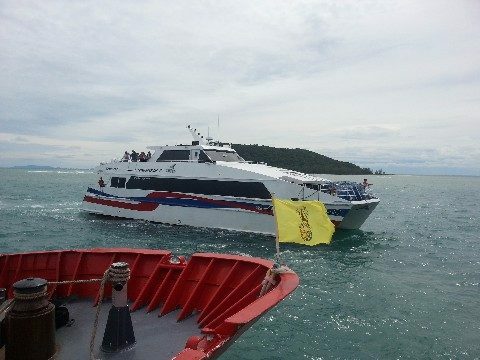 Journey by Ferry: Travel by high speed ferry from Koh Phangan to a ferry pier near Chumphon City (2 hour and 30 minutes). Journey by Road: Travel by bus from a Ferry Pier to Hua Hin town centre (4 hours and 00 minutes). Use the Search Box below to book your Lomprayah High Speed Ferry tickets from Koh Phangan to Hua Hin. The 08.30 departure tend to be the most busy of the two daily services because it is scheduled to arrive at 17.00. Fewer people choose to use the 13.00 service because it arrives at night. If you want to take the 08.30 service then definitely book in advance. The Lomprayah bus service terminates at a city centre location in Hua Hin (see below for more details). If you are looking for a budget hotel within walking distance of the bus stop in Hua Hin then we suggest that you walk towards the train station in Hua Hin where you can find some great value hotels hotels clustered in the area near Hua Hin’s famous night market. Thailand Life’s favourite budget hotel in Hua Hin is the Chaba Chalet, with is a short walk from both the train station and the Night Market. The Lopmrayah High Speed Ferry Company is best provider of combined ferry and bus services to and from the Gulf of Thailand. 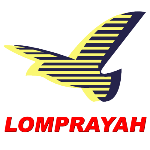 Great Service: Unlike many of the other travel companies operating in the Gulf of Thailand, the Lomprayah High Speed Ferry Company offers a modern professional service. They have a network of booking offices in Koh Phangan, Koh Samui, Bangkok, Krabi, Phuket, Hua Hin and numerous other location. The staff wear uniforms and generally have a good grasp of the English language. High Speed Ferries: The Lomprayah High Speed Ferry Company has a fleet of 7 high speed catamaran ferries with air-conditioned cabins, on board shops and outdoor seating areas. These are the fastest passenger ferries currently in operation in the Gulf of Thailand. High Quality Bus Services: Unlike many of the other travel companies operating services from the islands of Koh Samui, Koh Phangan and Koh Tao the Lomprayah High Speed Ferry company has its own fleet of buses. The buses are air-conditioned, with good seats and on board toilets. The first stage of the journey from Koh Phangan to Hua Hin is by ferry which departs from Koh Phangan’s main ferry pier in Thong Sala. Lomprayah services from Koh Phangan to Hua Hin drop passengers off at the Lomprayah Office on the Kanjanomai Alley in Hua Hin Town Centre before continuing onto Bangkok which the final stop for these services.